When you or someone from your family slips and falls in your home it can be a major disruption to your life could cause severe financial stress. Don�t let it happen! Global Safe Technologies has the products to help you and your family from the unwanted consequences of a slip and fall. We can make your Home Safe, internally or externally, no matter what surface you may have. 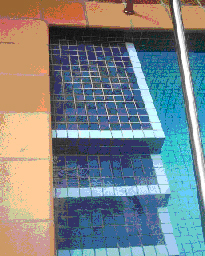 We can make your tiled floor surface safe even inside your swimming pool. Do you know that among 65 years or older old women the biggest cause of accidental death is slip and fall? It is a shocking statistics which is growing daily with our aging population. Don�t let it happen to you or your parents or older relatives. Contact Us today for an obligation free Safety Inspection. BE $AFE & $AVE�. Did you know if a visitor will slip and fall at your entrance, you may be sued, not even talking about your feeling about the accident. Don�t let it happen to you or your family and guest or other visitors. Contact Us today for an obligation free Safety Inspection. Depending on the product we either cause no disruption to your family life or work with you to ensure that you and your family are not being inconvenienced. We not only will take good care of your home and clean up after we�ve finished making your floor surface anti-slip, but backing up our products and service with a 5-year Warranty. Yes, we will be around not only in 5 years time, but long afterwards. 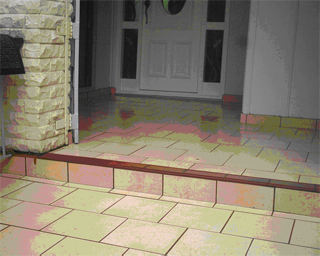 Not that you will need our service, as your non-slip floor should last much longer if properly cleaned and maintained.